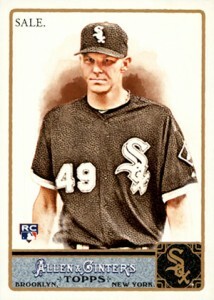 Without a lot of hype or fanfare, Chris Sale has emerged not only as the ace of the Chicago White Sox, but as one of the top arms in all of baseball. 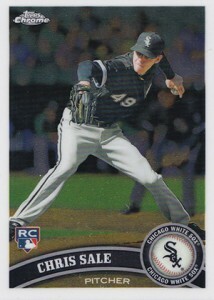 And while pitchers always carry a fair bit of risk in the hobby, Chris Sale rookie cards and his key prospect cards remain very affordable. 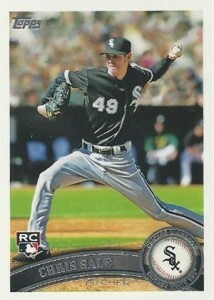 This is especially true when you compare prices against many yet unproven prospects that have yet to taste the majors. 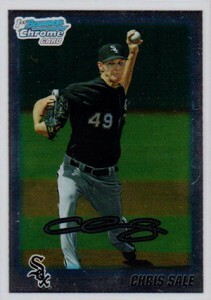 The first Chris Sale cards came out in a couple of 2010 Bowman-brand prospects. 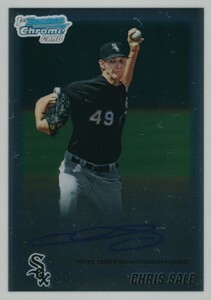 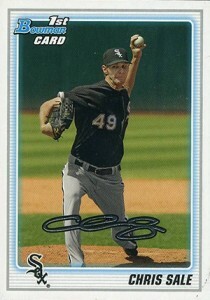 The 2010 Bowman Chrome Draft Chris Sale autograph is bound to be his most widely collected card in the long-term. 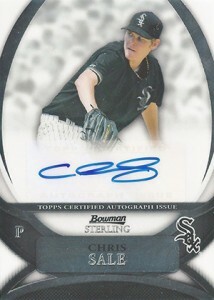 Although it's not overly expensive, those on a tighter budget might want to look to his cheaper 2010 Bowman Sterling Prospect Autograph or 2010 Donruss Elite Extra Edition Autograph. 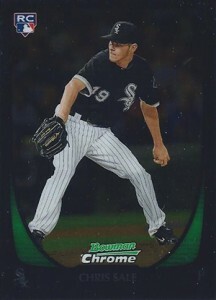 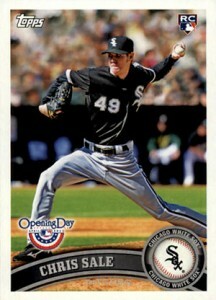 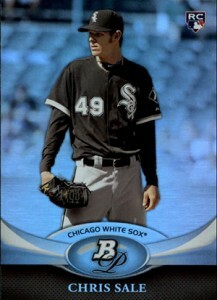 With Sale's 2010 cards falling under the insert banner, his rookie cards came a year later in several 2011 sets. 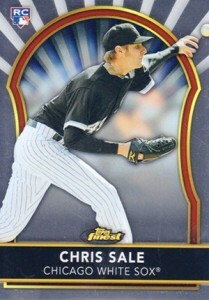 Virtually all of them can be found cheaply. 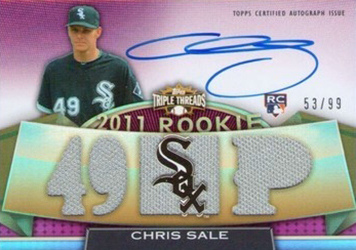 The one exception is the 2011 Topps Triple Threads Chris Sale rookie card. 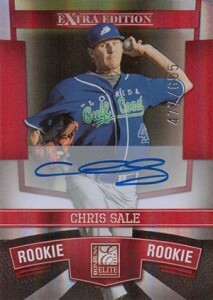 Numbered to 99, it's his only autographed rookie card (although there are a handful of 2011 autographed inserts). 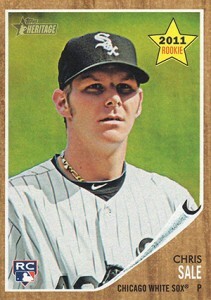 Check out a full gallery of all the Chris Sale rookie cards below. 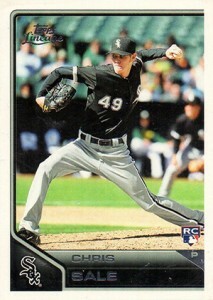 We've also included his key prospect cards. 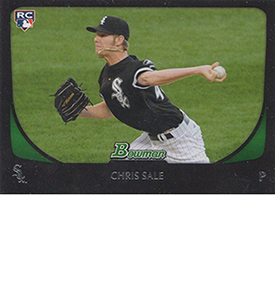 If you're looking to add a specific card to your collection or check current values, click on the links or images to check on eBay. 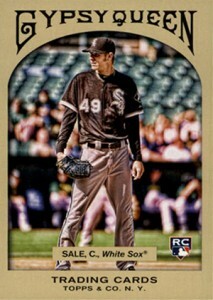 I found a Chris Sale topps #65 60 anniversary card that the 60th anniversary logo is silver do you no any thing about that?